Johannah's had this series in mind for a while now. 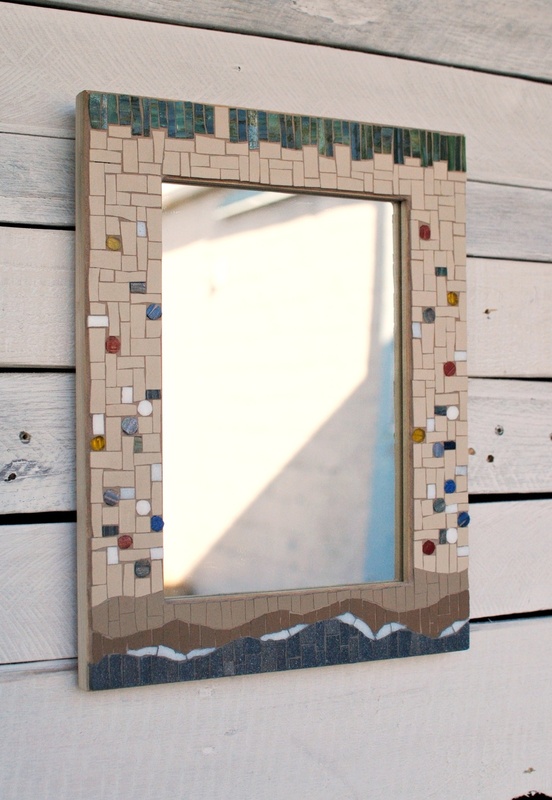 Mosaic mirrors with imagery inspired by aerial views of the world, areas where human beings interact with the surface of the earth. "Agriculture" came first, a few years ago. Finally this winter there was time to get back to this project. After making the "Suburbia" and "Oceanside" mirrors, we thought these pieces would be fun as wall art as well. The two new mirrors are up in our Etsy shop, and the wall pieces will join them soon! "Suburbia" and "Oceanside" in progress in the studio. "Agriculture" from a few years ago. All three views as wall hangings.